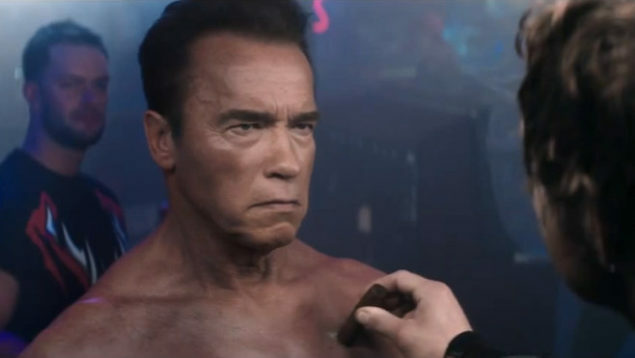 2K Games has just announced that Arnold Schwarzenegger will return to be the model for the infamous Terminator in WWE 2K16. But not for everyone, only for those that pre-order. Mot real in-game footage. Just Arnold being Arnold. Get a chance to use Arnold Schwarzenegger in WWE 2K16 if you pre-order from major retailers. You’ll get the chance to play as two of his iconic T-800’s, one from the original Terminator from 1984 as well as a character modeled after the 1991 representation of the menacing T-800. The unfortunate part is that this character is only available to those that pre-order from any retailer that accepts such pre-orders. Being a pseudo-sports game, it’s a safer bet to pre-order due to WWE 2K16 being similar to its predecessor with character and setting changes only. That and there should be some decent graphical updates too. Expect more veins and a slight increase in muscular density. There are no actual screenshots of what it looks like in-game quite yet, though the above is a fantastic screenshot from a video that Arnold did with WWE stars, reenacting a rather famous Terminator 2 scene. WWE 2K16 is coming this October on the 27th for the PS3, PS4, Xbox 360, and of course on the Xbox One. If you’re a fan of t his dramatic style of fighting, you might enjoy it. I have it on good authority that it’s actually fun for a variety of reasons.